Just want to say that I am doing the happy dance. This whole weight loss journey has been going on since December 20 (10 weeks today). 5:00 - 5:45 Acts 28!!! 7:30 - 8:15 Dress for workout and cleaned up kitchen and picked up dining room, answer Nessa's perspectives question. 10:00 - 11:15 Prayer Walk with "Seek God for the City" and "Joshua Project Unreached People" apps Listened to Morning Affirmations and Praying Scriptures for Spiritual Growth along with Calvin's Institutes: Book III. 11:15 - 11:35 Lunch and email to Steve thanking him for his "Seek God for the City"
11:35 - 12:10 Back Exercises while listening to/reading to Calvin's Institutes: Book III who has a "natural love for brevity". NOT! 5:20 - Up. Make pot of chai tea while I upload my BodyBugg and do my FACE report (accountability for Food, Academics or Attitude, Communion with God and people, Exercise, and Daily care of family) to Katrina and Rachel. 5:30 - 5:45 make a meal plan for the day, check email, respond to important stuff, register for Masterpiece sweepstakes, promote Imagine Coffee on Facebook. Finish making Chai tea. 6:00 - 6:15 - Wish Elizabeth a Happy Birthday and encourage people in Skype greetings. Chat a bit with Katrina about sickness. 6:25 - 7:55 Writing on Acts 21 for Bible Book Club and sip chai tea. Resistance training every fifteen minutes. 7:55 - 8:10 - Skype with Kathleen, sending her two things (discipleship time) and also setting up our next meeting. Also checked email and relayed message about cereal recall. OK, I am supposed to be writing on Acts 15. I love the turning point on that chapter, but God's presence is really real to me right now, and I have to write about it. I am not sure what happened. :) Since this is my desire 24/7, I want to pause and revel in it, remember it, and seek to continue it. Oh there I go, looking at paper scattered about my desk and starting to think about all the things I should be doing: getting Michael's grades into our auto insurance company (for the "good student" discount), setting up that dinner date with the P's for tomorrow night, throwing out papers, making things look more presentable at this desk of mine, etc. But I will sit here and revel. It is real, by golly. I wish scientists and scholar would take note. It is real, and I pity their blindness. No stupidity about an ancient myth here. He is as real as the nose on my face. Too bad for them they "think" Him away. I limped through the weekend, but I knew my back was not 100%. Fifteen minutes with Dr. Koen on Friday was all that he could give, but I need a full work over. I called at 8 am, and he called back and said, "Believe it or not, we have a very light day because everyone thought I was closed on President's Day! Come on in!" A full hour work over has made me a new woman, and I will NEVER carry Fran's book bags again. I love Fran, and it was great to have a chat with her as I dropped off her new and picked up her old ones, but I will FOREVER leave that job to my strapping, Sherpa boys! Moving on. I had such a wonderful time praying for HP yesterday as I circled the pond. It is a one hour slow walk from my house around the pond and back again. I must remember to do that more often. It is about the same length as my Glen Eden walk, only flat. It will be a nice change. I have not done it in about a year! Silly me. One Moment of an Act of Service . . . Equals three days of discomfort! I twisted my back, but it took me three days to figure out what I did! I thought maybe it was increasing the tension on the elliptical or walking in my boots across campus, but it was the big book bags I carried through the nursing home! I usually leave the big ones for the boys, but I decided to drop Paul off at the bus station and drop the books off on my way back home. It also required another trip to Dr. Koen! UGH! When will I learn I cannot lift heavy bags, and Michael could have done it on the way BACK to the library because he was going there anyway. 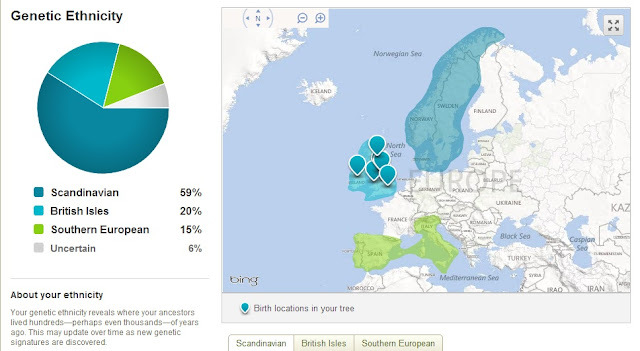 I thought I posted this here, but I guess I just posted it on my Facebook, and I want to have his results here for comparison with mine. My best friend had this laying on her ottoman when I went to visit her on Wednesday. She started describing all the things she was learning, and I said, "That sounds like Theophostic Prayer Ministry!" I am trained in Theophostic and do this kind of ministry in my home, but I have observed that lack of forgiveness is the biggest stumbling block to people experiencing His presence, and I think this little book helps bridge that gap and the weakness in Theophostic! This will be a quick free write to get my fingers moving for the day. I have had some busy mornings lately. So my writing time has been cut into pretty severely, but that is OK because I am still trying to save my back. Speaking of my back. HALLELUJAH! I really do think I am out of the woods after three steps forward and two steps back for three years. BEST decision was to stop going to personal trainers and go to a physical therapist. I have been on the road to recovery. I did have one little slip, but it wasn't due to anything stupid other than sitting too long in a counseling session. I am going to only one hour sessions from now on. I just cannot do the long sessions (that one was three hours, and I started feeling it after 1 1/2 hours). 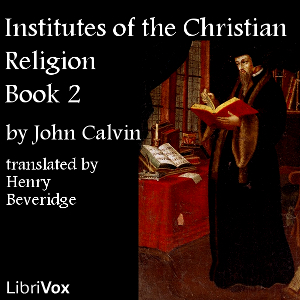 I have already reviewed the Institutes, in general (see HERE).This is what Calvin says Book 2 is about: Under the Occasion of Redemption, the Fall is considered not only in a general way, but also specially in its effects. Hence the first four chapters treat of original sin, free will, the corruption of human nature, and the operation of God in the heart. The fifth chapter contains a refutation of the arguments usually urged in support of free will. This a very famous classic that I finally was able to read. It is all about one 16 year old's adventures. I don't want to spoil it, but it says a lot about teenagers and where their mind can go. It is a fascinating. Having a teenage boy in the house, I know that hormones can lead to depression. This is a very negative book with some unsavory language, but it is pretty profound in many ways too. I can see why it is a classic, but I don't think I would want my teenager to read it. I decided to forgo the typical book cover for the actual book I read while sipping tea last Friday. Paul had a state test to take at Lebanon High School so I escaped to one of my favorite tea rooms: Mrs. B's Special Tea. What fun to read about Lady Almina while having a proper cup of tea! I really loved this book. Lady Almina was the rich, illegitimate child of Sir Alfred de Rothchild. She married the 5th Earl of Carnarvon infusing his estate with cash (much like Cora did in Downton Abbey) and giving herself legitimacy in the aristocratic world and a title: Countess of Carnarvon. Her money also helped fund the Earl of Carnarvon's exploits in Egypt that eventually led to the discovery of King Tut's tomb. For those of you who do not know, the Carnarvons oversee Highclere Castle where Downton Abbey is filmed. The book is written by the current Countess of Carnarvon. She is an excellent writer and good historian. It has been too long since I let my fingers do the walking across the keyboard without stopping (an informal definition of a "free write").